BlindGossip – Which young star embarrassed themselves at a Superbowl party yesterday? Not only did they have way too much to drink, they were also very loudly critical of both musical guests that performed. During Carrie Underwood’s singing of The National Anthem, they started to howl and clutched their ears as if in pain. 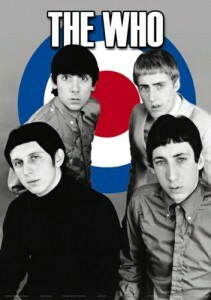 During The Who’s halftime performance, they talked loudly about how stupid it was to have some “Grandpa Band” that nobody ever heard of playing. When someone at the party asked them to pipe down because they actually did want to hear the music, the young star responded by saying that it was a waste of time to listen to music that sounded like crap they had heard a million times before. It will be interesting to see how much our star enjoys people critiquing their singing in a an upcoming film.